Los Angeles doesn’t see a lot of snow. Since the biggest storm on record, in 1949, it’s rarely fallen here. That’s what makes Corbin Bernsen’s office so magical. 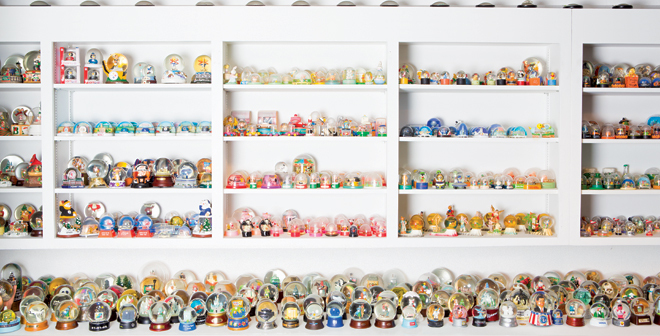 There the actor, best known for his rakish portrayal of a divorce attorney on L.A. Law, shows off 8,000 globes of the stuff.